Gail Keenan is a very successful Scottish psychic medium and clairvoyant with a professional career that spans over three decades. 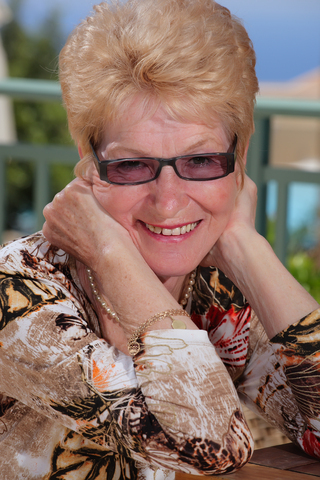 In 2004, Gail setup her offices in Regent Street London with an ambitious plan to start one of the most successful small psychic reading companies in the UK. Gail Keenan fully understands what experience and personal qualities her specially recruited readers require in order to offer her clients the best psychic readings around. Gail’s readers are all personally selected by Gail and most of her readers have been with the Gail Keenan company for well in excess of three years. If fact, Gail has one psychic reader who has a maintained a regular client list for some six years. Gail Keenan Psychics endeavour to offer a quality psychic reading service to you, the client, that outshines any other psychic company in the UK. Also, unlike most other psychic companies, Gail Keenan Psychics will always reward her regular clients with a loyalty discount and special offers. Gail has ensured that her psychic readers are able to give guidance on matters that may be concerning you, such as relationships, love, career, finance and more. Call a specially selected Gail Keenan psychic for a reading today and I’m very confident that you will not be disappointed.